If you are searching for electric scooters in Ireland, we can provide you with top of the range products to choose from. We have several mobility scooters for you to choose from, all varying in price and style. All of our products are made from the highest quality materials on the market, and are designed to be durable and long lasting. We make sure to try and test all of the products we stock; so you can rest assured knowing that you will be left fully satisfied with any purchase you make. Our electric scooters in Ireland are extremely sought after, with our most popular being the Colt Deluxe which is currently on special offer. This sporty mobility scooter from the ‘Pride’ range can reach up to 6mph and delivers a smooth performance. You can expect advanced features including front and rear suspension, high visibility automatic brake lights, feather touch disassembly, LED kerb lights and much more. Just head over to our website for more information on our range of electric scooters in Ireland. 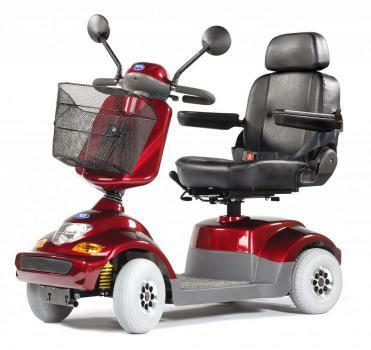 Not only are we able to provide you with electric scooters in Ireland, we also stock mobility scooters, electric wheelchairs, powerchairs, power packs, ramps, walking frames, walking sticks, crutches, sitting aids, bathroom and toilet aids, stairlifts, and much more. Our team of experts are always on hand to answer any questions or queries you may have, and will be more than happy to guide you throughout the entire purchase from your initial query through to the aftercare stages. To speak with a member of our team about our electric scooters in Ireland, please feel free to give us a call on 01 616 7079. We will be more than happy to answer any questions or queries you may have regarding our electric scooters in Ireland, and you are more than welcome to make a visit to our showroom. Alternatively, fill out the contact form on our website and we will get back to you as soon as possible.